ABOUT US – Commercial Service & Repair of Florida. Our mission at Commercial Service & Repair Inc. is to provide our customers with quality, affordable and timely service delivered with old fashioned honesty and integrity. To maintain this standard, we provide our technicians with the training necessary to stay current with ever changing technology. Our focus is to always work for the satisfaction of our customers and employees and to be a benefit to the local community. To establish a working relationship with our customer that is built on the foundation of integrity and honesty. We will strive for excellence in our effort to provide a win, win situation that allows you the customer to achieve your goals for equipment reliability. C.S.R. IS A ROBINAIR GOLD SERVICE CENTER! As a top-tier provider of Robinair service, C.S.R. 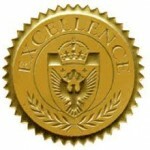 enjoys the distinction of being one of the few service centers in the nation to have achieved gold status from Robinair. Our responsiveness and peerless customer service has earned us this top designation. Give us a call and find out why we’re one of the nation’s top automotive shop equipment service and sales providers! 2018 © Powered by C.S.R.